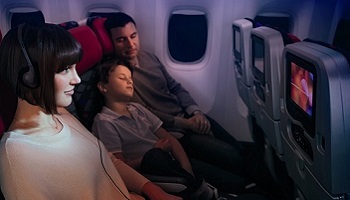 An inclusive Economy Class experience when travelling on international long haul services. 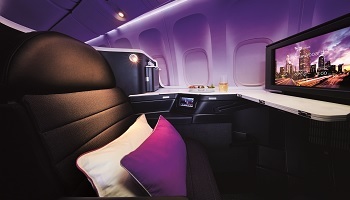 Economy guests receive complimentary food, beverages and in-flight entertainment. Economy Space enables you to speed through the airport and enjoy additional on-board benefits to our standard Economy. 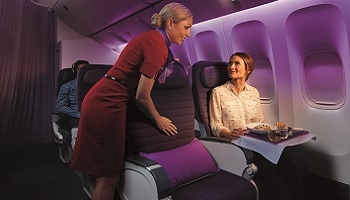 With more legroom than any other Australian airline, and an intimate cabin that enhances our award-winning service, you'll find Virgin Australia's new Premium experience on-board our Boeing 777 aircraft is a class apart from anything you have experienced before.